Twice the number of gates, half the time to open and lock. A Twin Gate can be opened with one movement of the hand and locks automatically. The Beal Twin Belay Pear features a large HMS design with a 12 mm diameter for a high level of durability during belaying and rapelling, and it's ideal for any climber or alpinist who values speedy transitions and descents. The Twin Gate system uses two gates in opposing directions that can be easily operated with one hand and lock automatically upon closure. 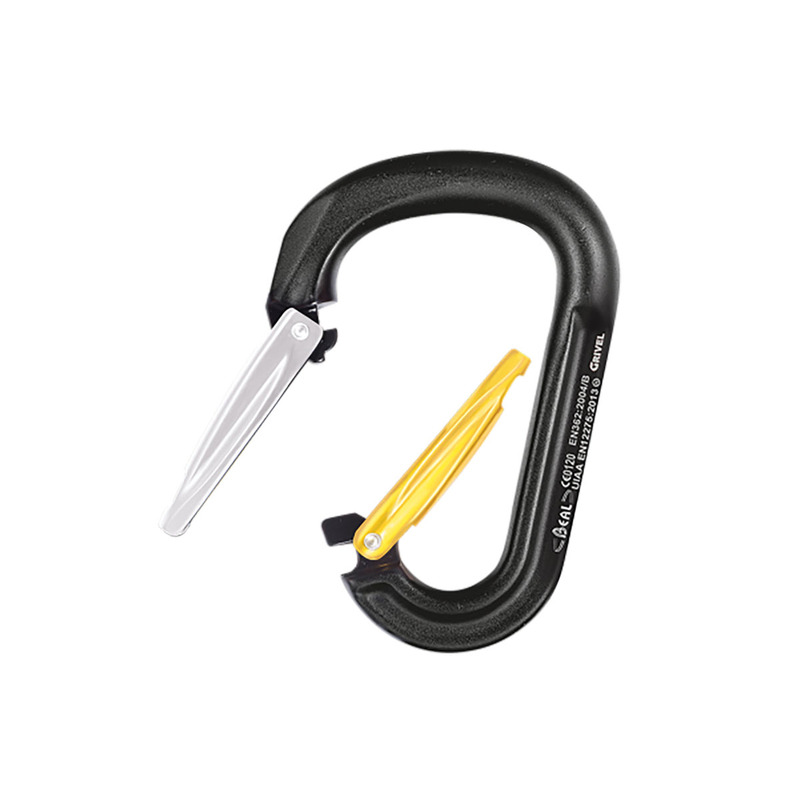 Developed by Grivel / Simond, this system is faster to use than traditional screw gates, doesn't freeze in cold weather, has a higher cross-loading strength that's ideal for trad draws, and makes it impossible for the rope or carabiner to unclip itself once shut.